VIP Tours of the Round Butte Fish Facility and Hatchery – Saturday 12 pm / Sunday 11 am – sign up at the welcome table half an hour before the tour begins. Special Guests: J.R. Beaver, Larry the Light bulb & Smokey Bear! 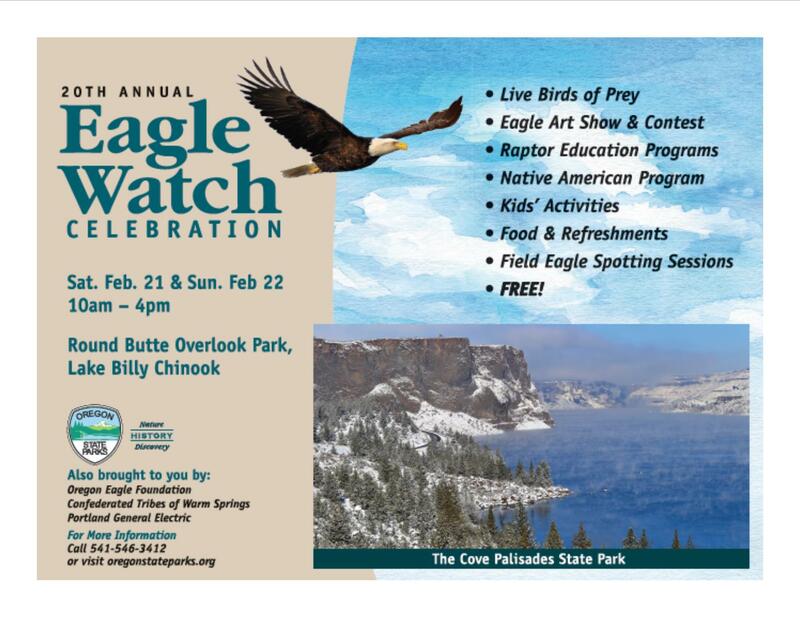 Event Sponsors: Acorn Naturalist, C3 Events, Canyon Creek Pottery – Sisters, Cascade Lavender – Culver, Cornell University of Ornithology, Earth20 – Culver, High Desert Museum – Bend, Indian Head Casino – Warm Springs, John Finch, artist, Ka-Nee-Ta Resort & Spa – Warm Springs, 91.9 FM – KWSO Warm Springs Radio, Madras Aquatic Center, Madras Garden Depot, McKay Cottage – Bend, Museum at Warm Springs, Oregon Parks & Recreation, Oregon Zoo, Portland General Electric, Quartz Creek Drummers and Dancers, Spilyay Tymoo Warm Springs Newspaper, Sunriver Metal Works, Sunriver Nature Center, The Bennett Family, The Patton Family, The Rybel Family, Telecom Pioneers, Wild Birds Unlimited – Bend. It’s time to put pen to paper, or fingers to your smart phone, and make your 2015 New Year’s Resolutions. Most of us have a lot of similar things on our lists, stay close to friends and family, loose weight, start a new hobby, reduce stress, be healthier, drink more water and start exercising. What is one thing that you can do and will check everything off your list? HIKING! 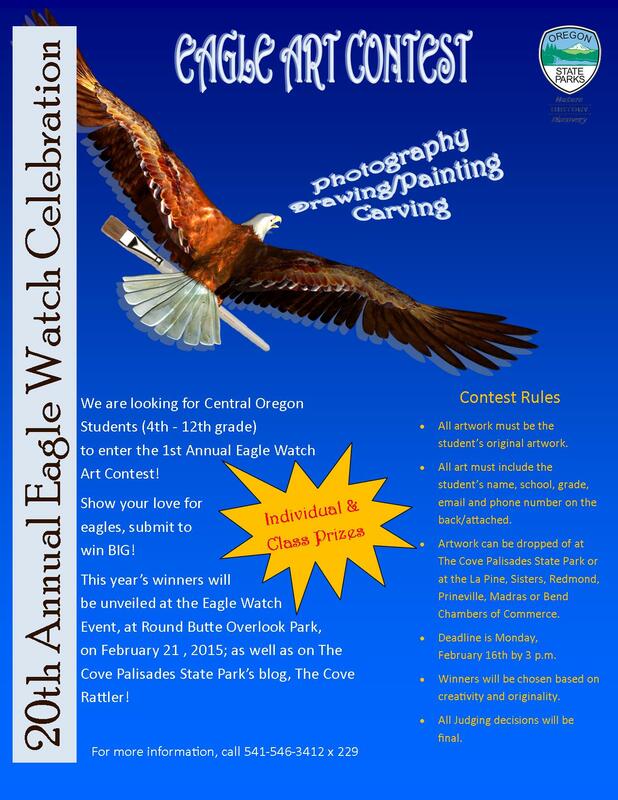 And what better place to do it than in Central Oregon. Best of all it’s free! I don’t know many people that say, “I have so little stress, I really need to complicate my life today.” Most of us have some form of stress and we all need a healthy way to deal with it. So at least once a week find a trail and you will not only get aerobic exercise – which increases endorphins and stimulates the body – but you will also find a deeper level of relaxation, which reduces stress. Once out there, you have the freedom to tune your brain into whatever is most important. Hiking can be coupled with meditation, time to contemplate complex issues that matter to you without distractions, or simply enjoy taking in the sights and sounds of nature. Like any hobby, hiking can be more fun, and safer, with a buddy. Hiking with someone else can allow you to vent, talk out or brainstorm when you have a problem. The other person can also serve as a distraction if you don’t want quite time. If you need to take your relaxation to the next level and really tune out the world for a while, bring your favorite music with you. Not only does it serve to calm the nerves, lower stress hormones and blood pressure, but it also helps to establish a rhythm of hiking, which accentuates the effectiveness of the body’s aerobic exercise. Studies have shown that the combination of endorphins released between the two seemingly contrasting activities can deal with stress much more efficiently overall. 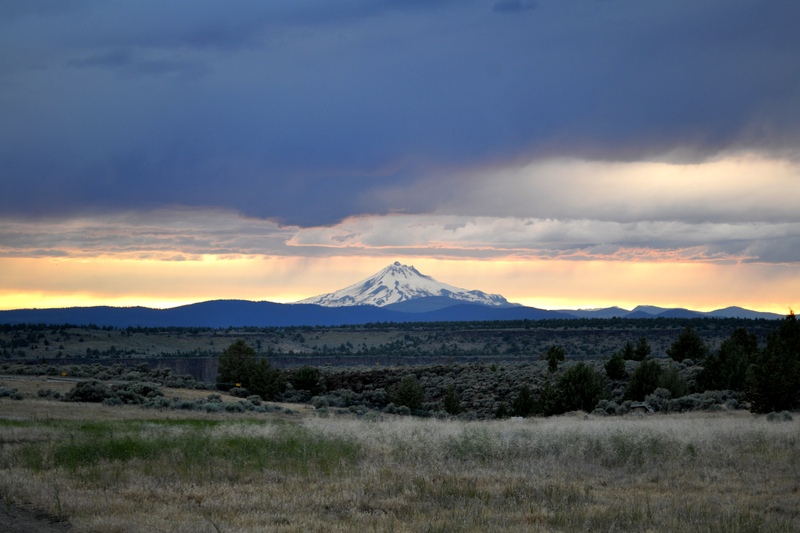 Central Oregon State Parks have miles and miles for you to explore. Here at The Cove, the are many short winding trails that lead from the Deschutes Campground to the Deschutes River. The Tam A Lau trail is a seven mile loop that will get your lungs and legs pumping with an 800 foot elevation gain and amazing Cascade views. 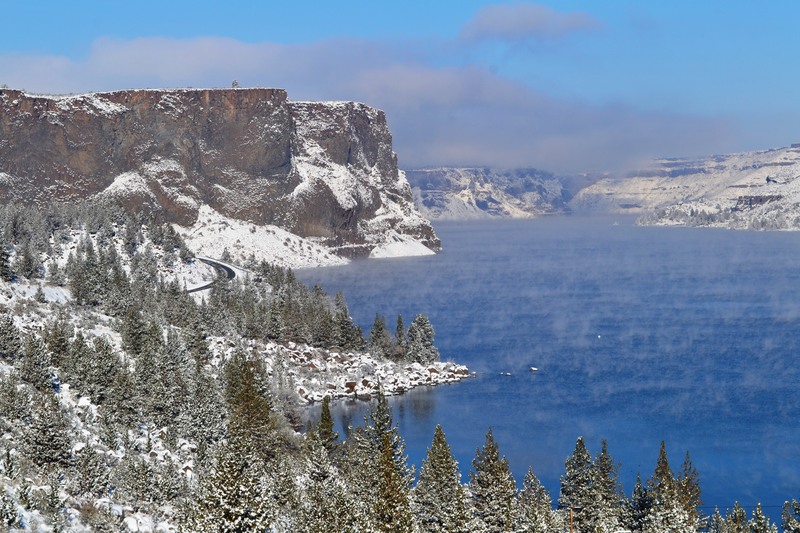 Also check out Smith Rock State Park, Tumalo State Park or Pilot Butte, Prineville Reservoir State Park (there is a three mile trail between Prineville Reservoir and Jasper Point State Park), and La Pine State Park. While hiking is an excellent way to relieve stress, it is important to always be prepared on a hike. If you haven’t exercised in a while, it might be a good thing to see your doctor first. Check the weather forecast and a map of the area you are visiting, dress in layers, let someone know where you are going and when you expect to be back. Bring a first aid kit, extra water and a mobile phone that gets reception in the area. Have a happy and healthy 2015!